Many residents of the Yuma Foothills area have been complaining about a stench in their neighborhood. While the water waste company denies any wrongdoing, residents believe that sewage is not being properly treated and going into their surrounding ponds and streams. At a nearby golf course the owner states that the area is safe, but area residents are rather skeptical. This type of scenario is actually quite frightening and while there may be nothing that these residents can do about this problem, there are things that you can do to prevent sewage backup into your own home. Raw sewage within the home will not just cause a horrible stench, but poses health and safety risks to the homeowner and family. Sewage contamination contains organisms that are responsible for several illnesses. This can include bacteria, parasites and yes, even viruses. This can be a huge problem, especially if the affected area is not properly cleaned and sanitized. Gastroenteritis, a condition causing diarrhea and vomiting, can ensue, as well as other common and not so common illnesses. Not only can this make you and your family sick, but even your pets. Therefore, the backup of sewage within the home is not something that you should take lightly as a homeowner. One of the most important things that any homeowner can and should do is take preventative measures. Protecting your family from the hazards of a sewage backup can be as simple as having a sewage backup valve in place. Installation of this device is not a do-it-yourself project and will require that you hire a professional. Although this may seem like an added expense, it can save time, money and hassle in the long run. The costs will depend on several factors such as the difficulty of installation for example. This particular device is quite useful though. The sewage backup valve only allows for one way flow of the sewage. This means that it can go in, but it cannot come back out. This one small measure can mean the difference in countless dollars and water damage to the home. If sewage backup occurs, it is never a good idea to try and get everything cleaned up yourself, and there are more than a few good reasons for this. As previously mentioned, there are several health hazards associated with raw sewage backup. Even if you can manage to get the “mess” cleaned up, there is still the issue of sanitizing the area and restoring everything to the original condition. 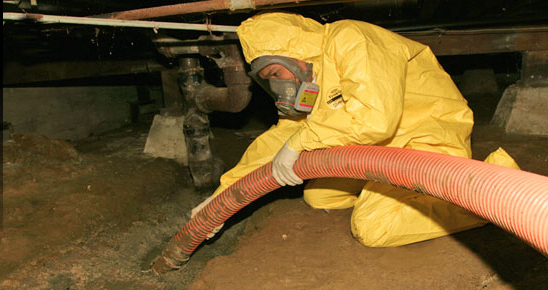 A professional sewage backup team can get it cleaned up properly in order to keep you and your family safe. Another common problem that may be faced is the water damage. Sewage backup can destroy flooring and cabinets as well as personal belongings. This is often a bit much for most homeowners to handle on their own. Unlike the scenario in the Yuma Foothills area, there is something that you can do!